I love tags whether it’s in the form of a blog post or YouTube video I think they’re a lot of fun and I like learning about other people. 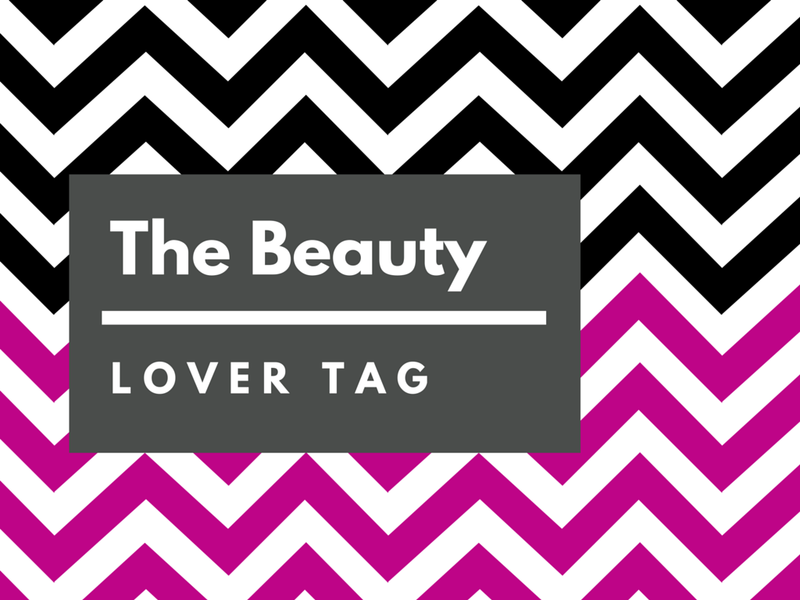 I came across the Beauty Lover Tag and figured “Why not?!”. After I answer all of the questions I’ll tag a few people at the end. This is an unfair question because there are so many people I would love to have do my makeup. If I could I would have Anastasia (of Anastasia Beverly Hills) queen of brows work her magic while Scott Barnes gives me his signature J Lo glow. What’s your makeup top tip? If you happen to get mascara or eyeliner on your lid after you’ve done your eyeshadow, let it dry completely then just wipe it off with a clean q-tip or gently use your nail. Currently I’m obsessed with the Mask of Magnaminty from Lush. The peppermint in it makes my face tingle and feel super clean! 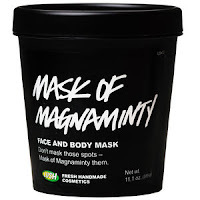 This mask exfoliates, soothes and cleans deep down in your pores! It’s not an actual makeup technique I struggle with but I actually still have trouble putting on false lashes. It was one of the first things I learned in the makeup part of beauty school and it continues to be the bane of my existence. The only real pet peeve I have about makeup is how seriously people take it. It’s just makeup… it washes off. It is crazy how many fights I see in the comment section on social media about the big name beauty gurus. Everyone has their own way of doing things and what looks good on them. People should just chill. 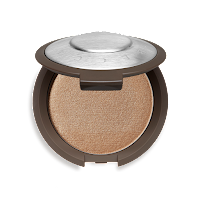 My guilty pleasure product is my Becca Pressed Shimmering Skin Perfector in Topaz. It’s a beautiful highlighter but because it’s $38 it doesn’t always make it practical. My underdog product would have to be Maybelline Great Lash Mascara. It’s an oldie but goodie. It’s the one mascara I always saw my mom use when I was a kid. It’s a really good product but it can be over shadowed by all of the big name mascaras in the pretty packaging but at $4 it’s comparable to $20 ones. 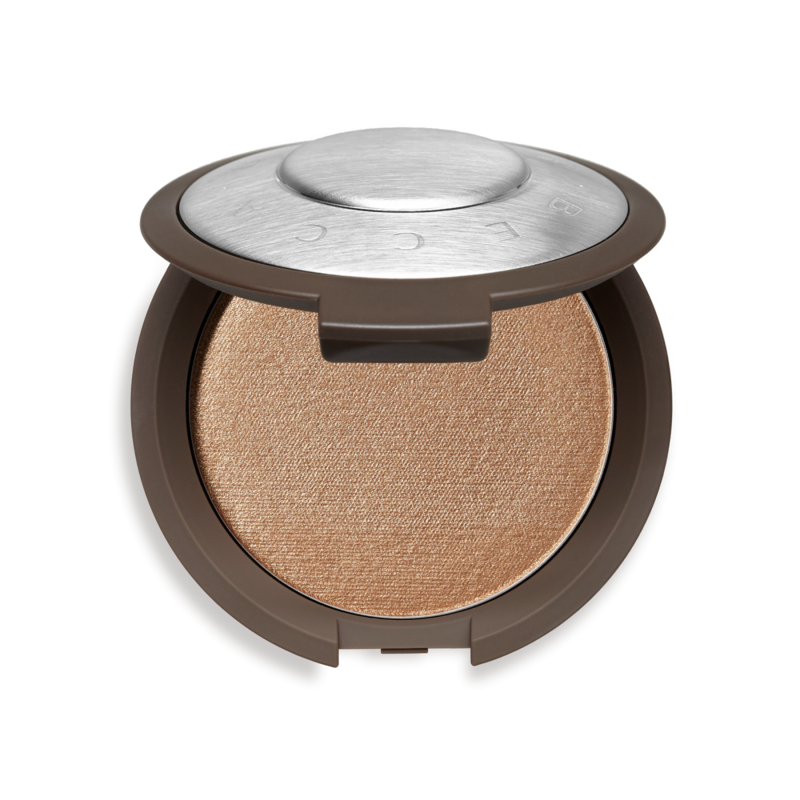 I’m sure there will be plenty more products coming out this year that I will go crazy over but for now my favorite makeup product of 2016 would have to be… I think it would be more of a trend then product. It’s the liquid lip craze that’s going on right now. If you come across the perfect liquid lipstick you’ll quickly see what the fuss is all about. My favs are Kat Von D, Dose of Colors and Colour Pop liquid lipsticks. They’re all long lasting and they go on evenly! Kat Von D Everlasting Liquid lipstick in L.U.V. is my favorite! Alright so this wouldn’t be a tag if I didn’t ask some people to participate. This is totally up to them and my feelings won’t be hurt (too much) if they choose not to. If you’d like to do this tag drop me a link in the comments so I check it out! I love finding new blogs to read. I’ll leave all of the blank questions in the comments. I love all things Lush! All. The. Things. I clearly need to learn lots more about makeup though because I don't know much else. I just discovered Lush a few months ago now I'm hooked. When I need a gift for someone I get it from Lush and grab something for myself too! How fun! That liquid lipstick looks really pretty. It's really pretty! But this is coming from someone that owns 6 different purple lipsticks. I have never tried Lush but I have heard so many awesome things about it.. I will have to visit the store soon! You are going to love it! I'm new to the whole Lush thing but love just about everything they have! Just bought the Topaz skin Perfector! I can't seem to get it to pop the way I want though. What brush do you use? LIVE for the mask of magnaminty, and I can't apply lashes for my life (but I wish I could they're so pretty!) Loved this! Thank you! I hope the tips I gave you on Twitter help. Let me know if you try them out.